I bought a year subscription to ok, and it doesn't work. This site NEVER allows you to download the magazine! Stay as far away as possible from buying the online magazine!! Too many pop up ads! 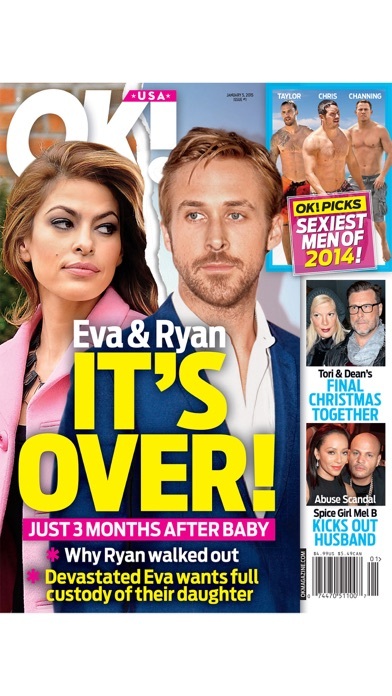 So great I can get my gossip on the go! I have always had a print subscription to the magazine and was very hesitant to get the digital version on my new iPad. But, I'm so glad I did. I love it! This app is horrible. I don't even usually write reviews, but this is so bad I'm making an exception. The app is super slow. Despite the fact that I paid for it, ads pop up everywhere, and the app constantly glitches and reloads or skips pages. It's awful. This app is terrible. It often tries to charge you for the newest issue even with a paid subscription. Then you have to try ten things to download it and eventually contact customer support. Plus the "feed" is so loaded with ads that it will shut the app down. Don't bother! It's slick, glossy, and not glitchy like previous versions. I recommend giving users access to more control. For instance, the app asked me previously if I'd like to clean up old copies, and I said no. Now I do want to, but I can't find the option. Going to cancel! Would like a refund for the last 2 months!!!! Can't download! I read a magazine and now I can't go back to the library. Can someone please help me and tell me how to use this app? Please fix can't download new magazines what's wrong with this app it use to work. Will cancel subscription if can't be fixed!! 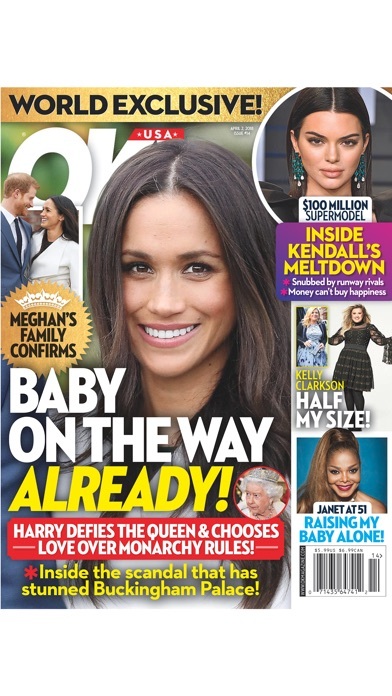 I just love being able to read OK Magazine on-line!! It's almost like being there!! Where is the $2.99 subscription??? Love it! Keep giving me the articles I love on my iPad! I love the gossip when I can read it. I will be in the middle of an article, an ad will pop up directing me to the App Store, I hit go back to ok and the stupid ad won't go away so I can't read the rest of the article. Also does not update with new stories. You have to click on an old story, hit the ok icon and get the new stories. So, annoying!! I only gave it a star b/c I had to. This is an amazing update! Great design. Very smooth ! Thoroughly enjoyed reading! Really enjoying the newest update. So fast, awesome engaging tools. Good job OK! So many ads I can't get through a single sentence. The newest version looks great, and works so smooth. The issue downloads are much faster now. Worst app ever! Ads popped up ever time you click on a page. Had it five minutes and deleted it. Its so difficult to use and I can't read it well. There is no organization and it is constantly glitching. I guess it will be a while until we can get a mobile magazine. Works great, loads fast every time! Funny, I've had issues on my iPad Air and iPad air2 with Time, People and others...most of which take a while to load each issue. Signed up for OK as a cheaper mag, but it downloads every week flawlessly in under 20 seconds, never had any issues reading it and great quality/clarity. Not as many fancy features as the others but stable and the say to read more than make up for any limits. Love it! Not impressed with the magazine. I bought a subscription but I'm unable to download new issues. I have no buttons to go to the main menu or download the new magazine. Please fix.